There are a thousand and one ways to renovate a kitchen. Some people are happy with freshly painted walls, while others focus on replacing the tiles. As for us, we prefer a full renovation. Our job is to rethink both the layout and the decoration of your kitchen. Once the renovation is complete, you won’t even recognize your new kitchen! Of course, we make sure to understand your tastes, desires, and needs when it comes to building a new kitchen. Renovating a kitchen means giving it new life! The bathroom is like the backstage of your home. It is an intimate place where you prepare yourself in the morning before going to work. It is also where you can relax in the evening after a hard day. And last but not least, the bathroom offers your guests a quiet and intimate place to refresh themselves. The bathroom is a guaranteed comfort, but also a reflection of your personality. It is therefore essential that this room is arranged, equipped and decorated to your tastes. If you call us to overlook the renovation of your bathroom or the renovation of your kitchen, all you need to do is give us instructions; we take care of everything. We’ll make the plans, supply the equipment, ensure good workmanship and overall make sure the installation is done according to plan. Flooring, painting, tiling, manufacturing, installation of marble or granite counters, electrical connections, plumbing – we can do it all. The kitchen is an important and emotional part of your life. The reason is simple: You spend a lot of time with your family in the kitchen. You make your meals, you have conversations, sometimes you have a snack before dinner. We are pleased to renovate one or more rooms in a house or apartment at a time. It gives a breath of fresh air to the place. The bathroom is part of this change. You can’t forget that renovating your bathroom includes the possibility of installing new plumbing. The primary objective of renovating the bathroom is to make it fully functional, with no issues. When a room is being renovated, it’s always good to know that everything works perfectly and that you are protected from any issues. We are aware that you have many obligations and that you don’t have time for everything. This goes as well for renovation work. Floor coverings are an element of renovation to not skip when you are redoing your kitchen. This is why we offer an impeccable service in this area. Since 1998, we have been helping households renovate their kitchen and/or bathroom. Thanks to our experience and the knowledge of our agents, we have the possibility to provide turnkey services. In other words, we do the renovation of your bathroom from floor to ceiling, electricity and plumbing. The same is true of kitchen renovation: we renovate at all levels. 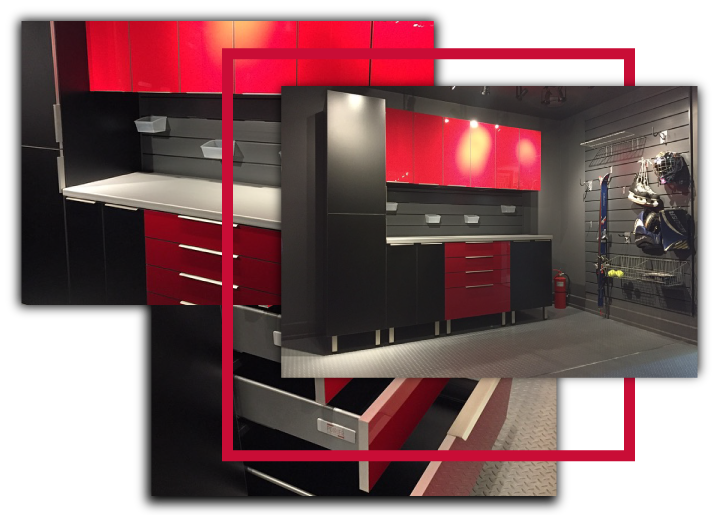 For example, we can redevelop the space, create, modify or delete workspaces, customize and optimize storage, and take care of pipes and electrical connections. 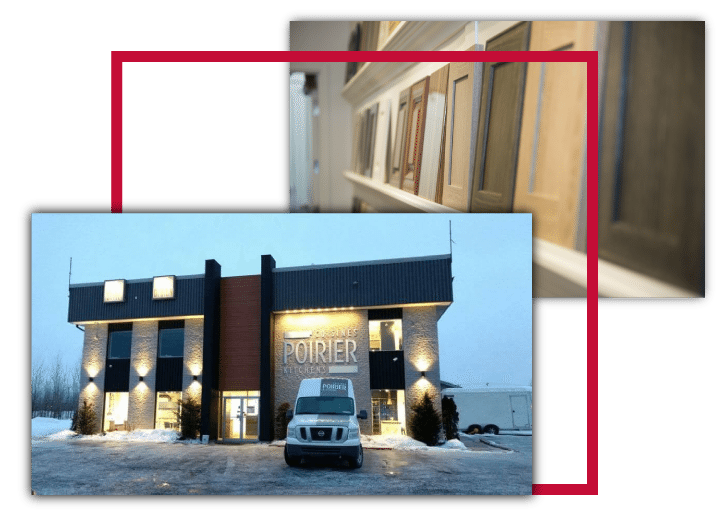 We operate throughout Canada for kitchen and bathroom renovations in Gatineau. Gatineau kitchen renovations : It’s time to go! The kitchen is one of the most important rooms in a house. It’s not just a place where you cook food daily. A family spends a great deal of time in the kitchen. We talk, we have breakfast, and so on. Therefore, a kitchen must be well laid-out and fitted properly. If you plan to build or renovate, consider entrusting us with the design of your new kitchen. The same is true for your bathroom. This is where you begin your day also where you finish it before going to bed. This room deserves to be furnished and decorated as nicely as possible. Bathroom renovation : trust the pros! A renovated bathroom is a bathroom that will not let you down. For example, you will no longer have to deal with water leaks, non-functional hot water, a constantly overflowing bathtub, and other such issues. As well, a renovated bathroom gives you more motivation throughout your day. Why ? Because it starts your day off on the right foot. Have you ever noticed that your days are better when you sing in the shower and take pleasure in getting ready? What elements change with a renovation? There is nothing universal about remodeling a bathroom. 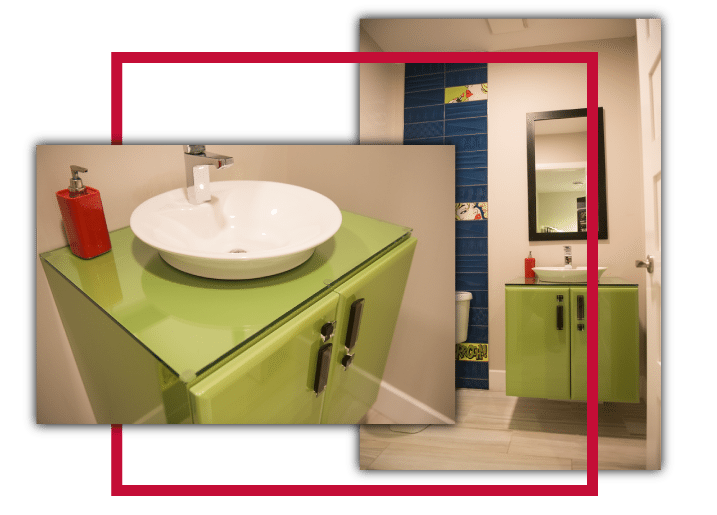 In fact, Gatineau bathroom renovation involves transforming your bathroom into a room that reflects your personality and meets your needs. As such, we may have to change everything, or perhaps modify only certain parts. But usually, we change certain elements of the plumbing, we renovate the toilet and sink, we set up more suitable lights, and we install a more modern and more aesthetic flooring. Kitchen or bathroom, we are experts! If you have a renovation project for either your kitchen or bathroom, don’t hesitate to contact us. We have two decades of experiences in this field. If you have any question or any doubt, our agents will be happy to make everything clear for you. When renovating a Gatineau bathroom or kitchen, we strive to achieve your goals for the project. We adapt our work to your requirements, because we know that the kitchen and bathroom should be tailor-made to your needs, but also within your budget. So, you can be sure to get the best value for your money. If you decide to renovate your kitchen or bathroom, do not hesitate to contact us. We will evaluate your project and provide you with a quote. To install the kitchen of your dreams or your ideal bathroom, we can begin immediately as soon as you have made your final decisions about the renovation. We guarantee an unquestionable quality of work, because all our workers have experience and a notable amount of knowledge in the field of kitchen renovation and bathrooms. Ah, how good are the moments spent sipping coffee while chatting … How many memories of preparing meals with your family! You’ve certainly experienced all this in your kitchen. It is certainly a room that brings together the members of the family with a good atmosphere. If you have the financial opportunity to renovate this room, take advantage of that! A kitchen renovation allows you to completely change the appearance of your kitchen. You can change the layout of the kitchen to make it more convenient. As well, renovation will allow you to change the room’s style. If your kitchen was built in 1970, it is definitely time to renovate it. For example, you can add a touch of modernity by choosing a more industrial style: lighting fixtures, kitchen cabinets, and other furniture can all be chosen to carry this out. We carry out turnkey renovations, that is to say from A to Z, from the design of the plans to the finishing touches. All you have to do is wait until the end of the renovation and then enjoy your new kitchen. Many people say they would rather wait to worry about getting a bigger kitchen. But you should remember that a kitchen always does its job, regardless of the size. Whether you like it or not, the size of your kitchen does not change your habits inside the room, whether that be cooking meals, having a morning coffee, or having a conversation. So much of your day happens in the kitchen. Therefore, this room deserves to be taken care of. Renovate it, make it functional and enjoyable. If you have a nice kitchen that is properly equipped, your days will be more likely to begin well! How do you showcase your kitchen? There are several ways to showcase a kitchen. Most importantly, you should have an overall idea of what you would like to do with it. Would you like a kitchen with a central work plan, like in restaurants? Or do you prefer an American-style kitchen, where the kitchen opens directly into the dining room? Once you have made all these decisions, we can show you all the different possibilities. In a kitchen renovation, there is so much to do: rethink the space and layout of the new furniture, think about natural lighting and artificial lighting, and much more. But to emphasize, a kitchen renovation also includes maintaining and improving the plumbing, installing a floor covering adapted to your tastes, setting up a suitable electrical system, and more. For many families, the kitchen is also the dining room. It’s very practical to have breakfast as a family in the kitchen: the food will be fresh and hot. You can serve your pancakes, waffles or crepes while they are still hot! Therefore, the kitchen can be an intimate place where you’ll spend time with your family. For these reasons, you should not neglect the renovation of your kitchen. Think about bringing some freshness to this room; you won’t regret it. You can spend many happy moments there with your family at any time of the day. Kitchen furniture : classic or contemporary? For your kitchen, you will definitely have an idea of what you want. You’re always right, since it’s most important that you are comfortable in your own kitchen. 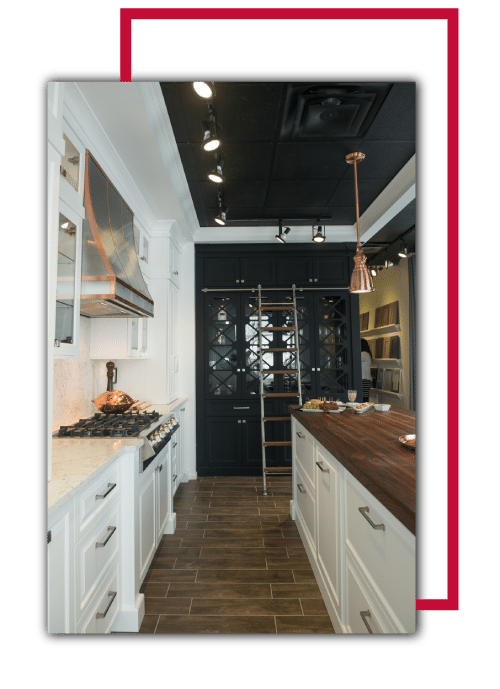 So know that with Gatineau kitchen renovations, we can realize all your kitchen renovation projects. You want an industrial and modern cuisine? We can do that. Or you may want a classic kitchen, with a vintage touch. And for those who love contemporary kitchens, we can definitely help you to put in place the right furniture to lend a modern style to your new kitchen. If you are one of the people who has improvised with their kitchen and who has had temporary furniture in their kitchen for a few years, know that solutions exist. 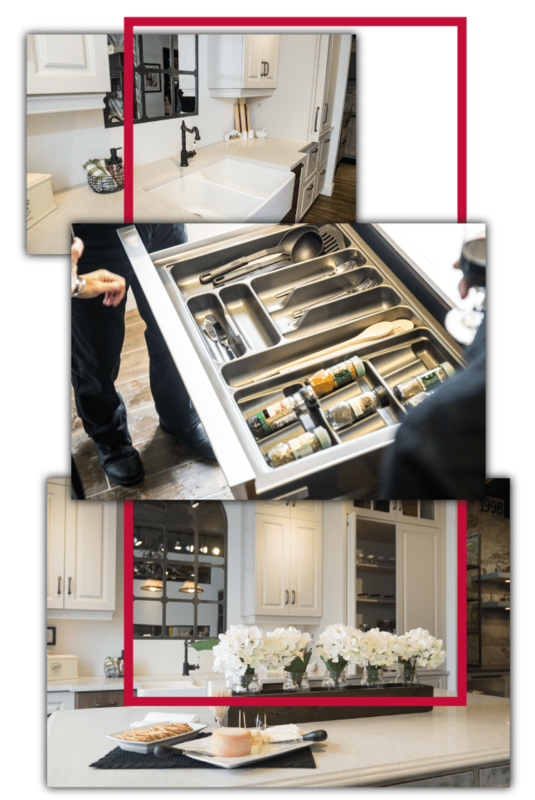 With your Gatineau kitchen renovation, you can rethink your kitchen furniture. You will definitely have an advantage, because we will realize your custom furniture goals, using the available space, and also in keeping with your tastes and habits. For example, the kitchen furniture for a couple in their 30s might not work for an older couple, and vice versa. Structure, materials, and placement: we will do everything to ensure your kitchen furniture works for you. Your day depends a lot on your morning mood. If you woke up on the wrong side of the bed and have been feeling down since you woke up, your day risks continuing in the same vein. That is why it’s important to have a pleasant and functional bathroom. When you begin your day and you prepare yourself for a day of work, your environment affects you a lot. The same goes for when you come home from work and get ready for bed: everything begins with a good hot bath or shower. There is nothing better than spending time in a nice bathroom before dinner and before bed! How do you proceed with a bathroom renovation? A bathroom renovation includes many important steps. For your Gatineau bathroom renovation, you will start by listing your needs. At this point, our experts can evaluate what is possible with the space available and your budget. How can the room be improved? How can the light be optimized? These are some of the questions that arise at this stage. Then, the renovation begins with maintenance of the equipment: the plumbing, the sinks, etc. finally, we can proceed to the aesthetics of your bathroom: what will be done with the walls? What should the flooring look like? Which colours should be used? Since 1998, we have helped households that want to renovate their kitchens or bathrooms. Thanks to our experience and the knowledge of our agents, we can assure turnkey services. In other words, we will complete the renovation of your kitchen or bathroom from floor to ceiling, including electricity and plumbing.